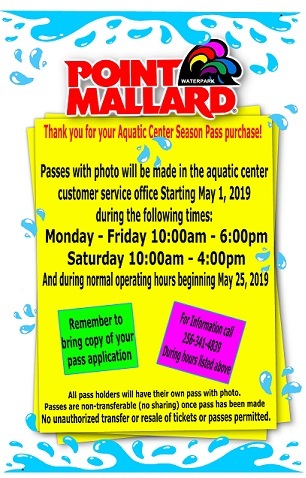 We will start making passes at the water park on May 1, 2019. See attached photo for days and times. Be sure to come early in May to avoid long lines. Also remember to pick up your season mug before July 1, 2019. We look forward to a great summer with you!!! 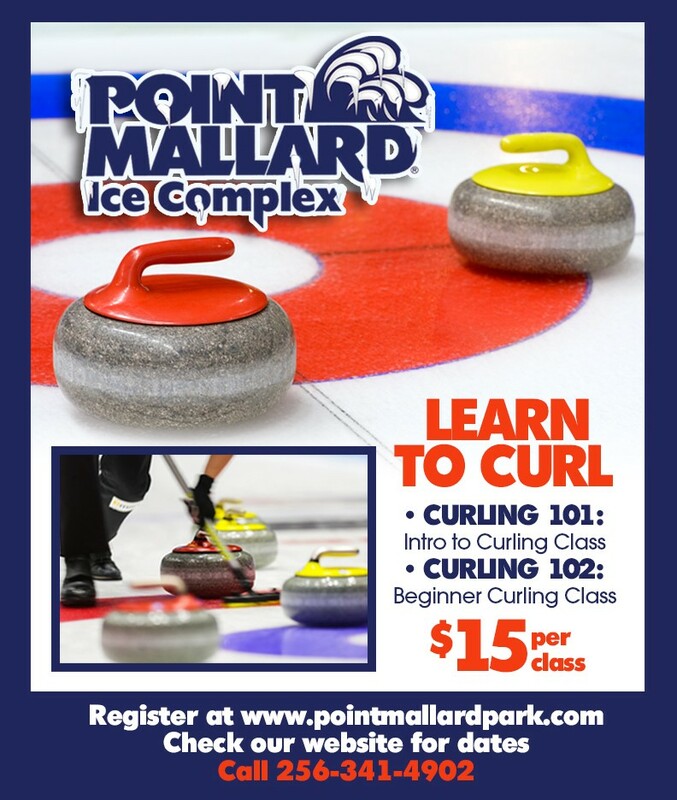 or pick one up at Point Mallard Ice Complex. 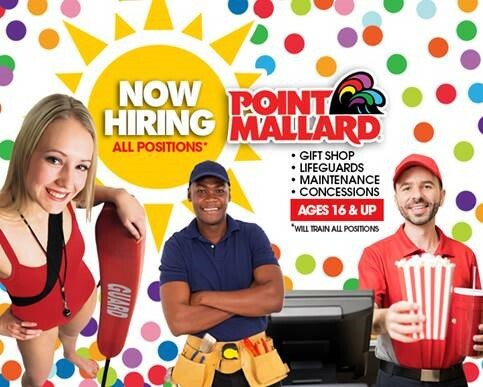 Please call (256)341-4902 for more information. 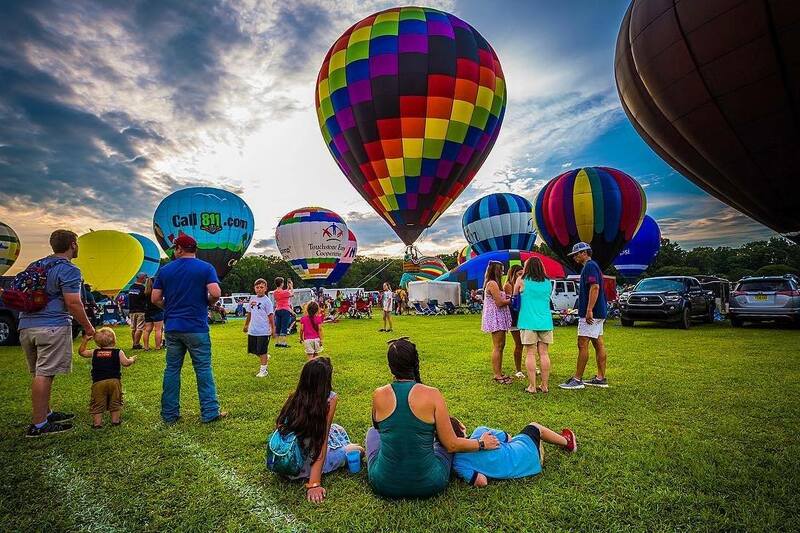 Join us for these family fun events! Get ready for a great night! 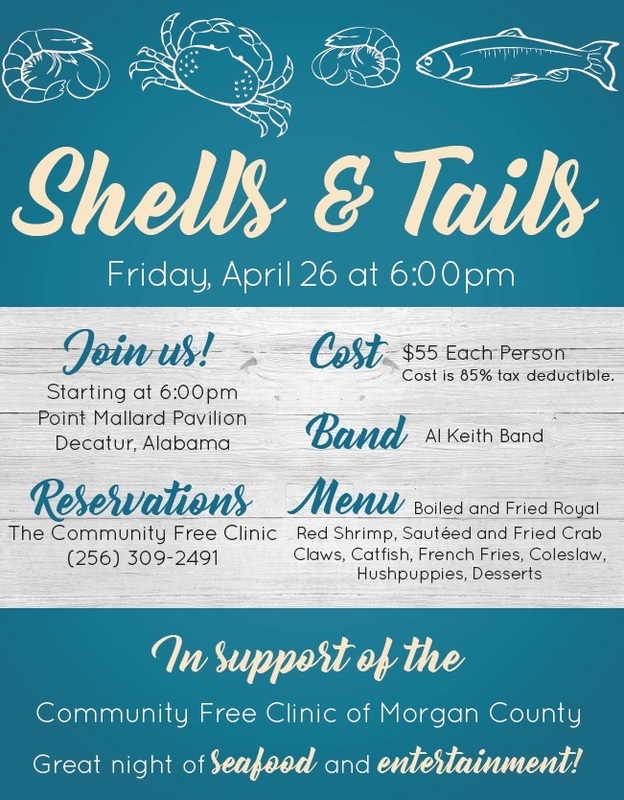 in support of the Community Free Clinic of Morgan County. 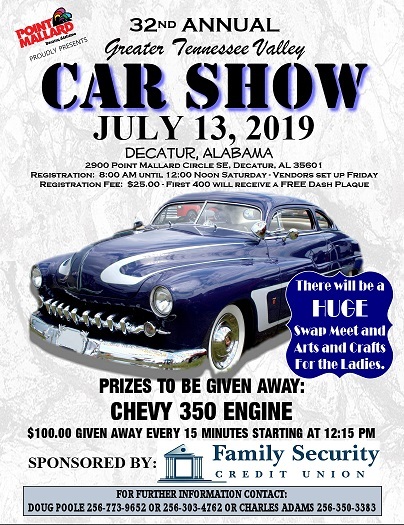 Please call (256) 309-2491 for more information. entertainment, and lots of fun for all ages! while raising money for the thousands treated at Decatur Morgan Hospital. and Mobile Medical Unit Operations. Opening Ceremonies begin at 8:30 am. 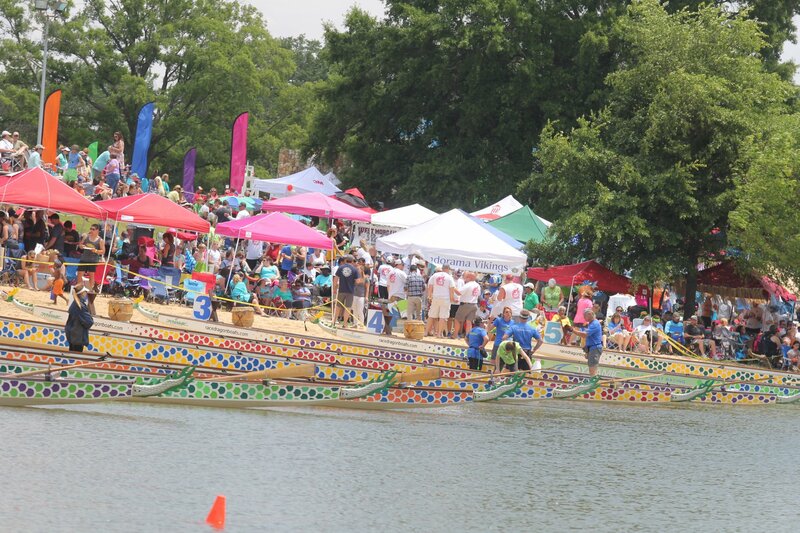 Racing begins at 9:00 am. Team Entry Fee is $1,500. SoulStock is coming May 17 & 18! open for the general public to attend. and individuals mostly in the surrounding communities. God's good news though the ministry of music. 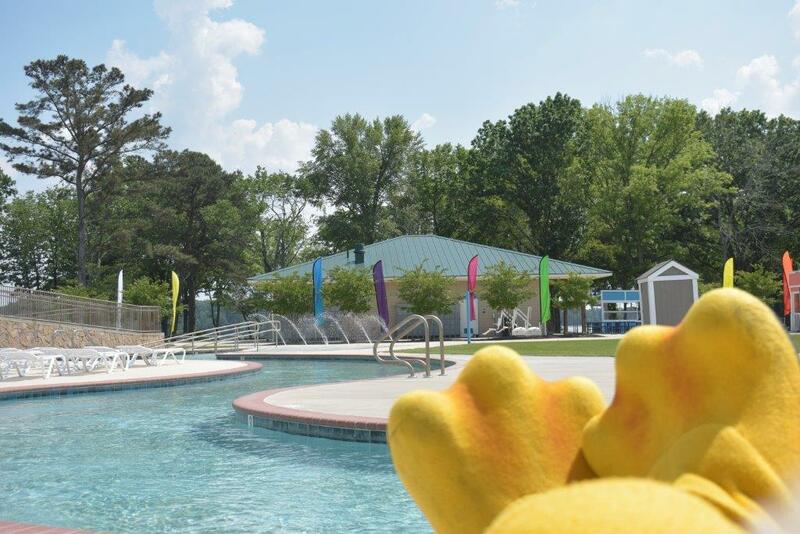 Summer officially begins Saturday, May 25, 2019! 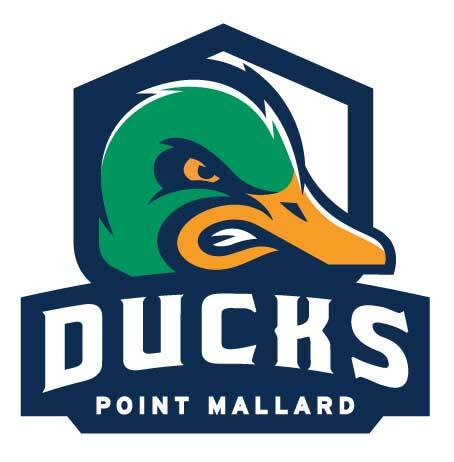 Join us for Point Mallard Water Park Opening Day! Please call (256) 341-4902 for more information. 1. Click on the link and register. Get your team registered for League Play! 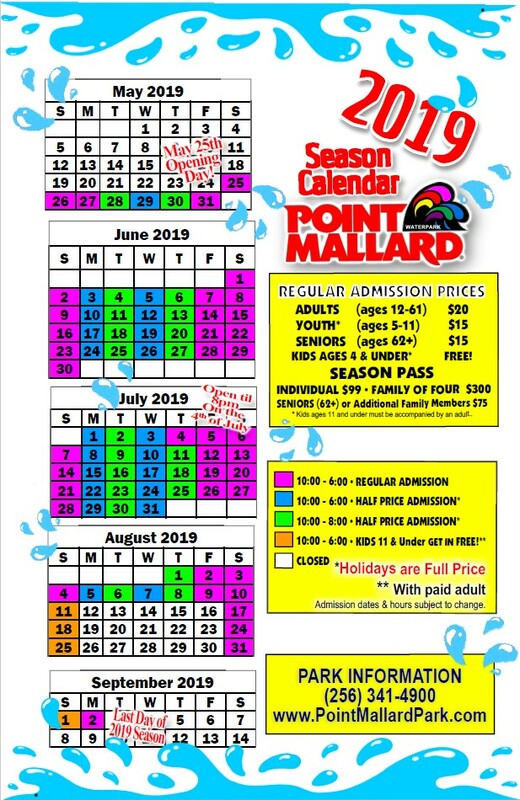 NEW 2019 Waterpark Season Calendar! Thank you for an awesome season!